Today, I’m presenting a virtual getaway, especially for anyone stuck in this year’s snowy winter. I’m pleased to offer you my short (7 min.) nature film I shot in November on location in the beautiful country of Costa Rica. I love waterfalls, and Costa Rica has many lovely ones, both small and very large. All are situated in rain forest settings that invoke images of a lost, green, wild world. This film also features my original symphonic music score. Be sure to go full screen and volume up. 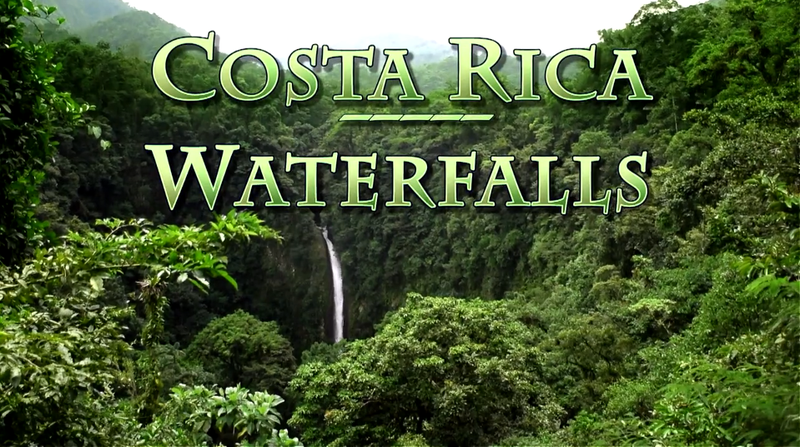 I hope you enjoy “Costa Rica Waterfalls”! My posting frequency on this blog has slowed recently due to my becoming deeply involved in writing my first novel. The book, an epic science-fiction/fantasy series, is approaching completion and I will update this blog as I can, but I thought that for now I’d post some recent thoughts in the forms of a poem and a digital image or two. Often, I find myself simultaneously holding different visions of my humanity. On one hand, I sense the melancholy (which is not the same as sadness or hopelessness) of our situation here in this physical reality. It is the conundrum of Ralph Waldo Emerson’s metaphor of the Stairs that I’ve spoken of several times in these pages. Upon those stairs, we awake and know not whence we came, nor where we are bound. It is an authentic and enduring melancholy for every person–a melancholy borne of that mystery. On the other hand, I feel a strong imperative to constantly and consciously create real happiness and fulfillment for myself within the time I exist upon those mysterious stairs. I do so by being a creator and I live that role right now. This is the only way to be in this life that brings me (or, I will maintain, anyone else) true joy. It is what Casteneda called a “Path with Heart,” and it brings unexpected delights and challenges to us, while each of us also remains involuntarily bound to that mysterious river of time that leads us to an unknown destination. Those two visions emerged into two different creations recently, and I thought I’d share them here while I may be away from more regular blog posts for a while. The Melancholy observation is represented by a poem that is my take on Emerson’s Stairs. It came fully formed out of sleep and the spirit realm of dream last night. The accompanying image (above) is my digital art alteration or enhancement of a detail from one of my favorite painters, Thomas Cole. (It’s from his four panel “Voyage of Life” series from 1842.) His paintings include some directly religious elements, but I believe the idea of guidance from “outside” of ourselves is possible in many shapes and forms that cannot be empirically measured. We are, in any case, on the boat and in motion to an unseen destination. 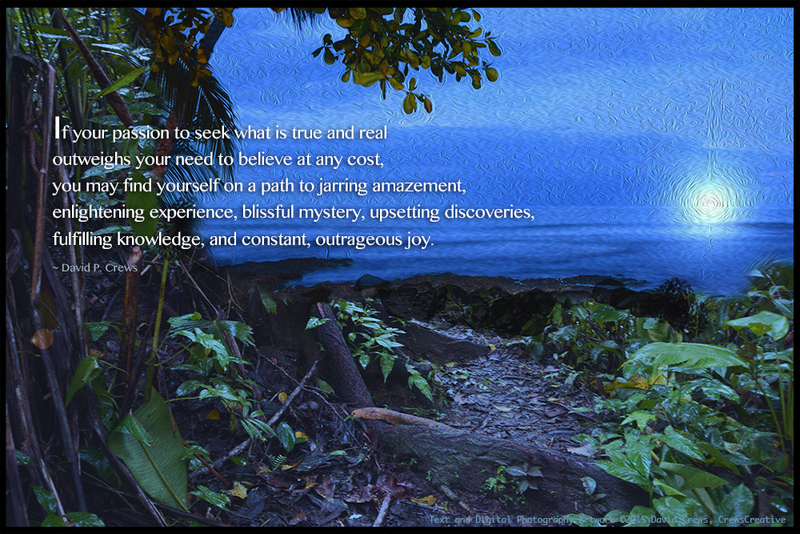 The Creative/happiness/joy/challenge observation is an original saying and a digital artwork rendered on a moonrise photograph I took along the Caribbean coast in Costa Rica a few months ago. May we all continue to look, wonder, and choose to make our time upon the waters of life worthwhile by creating joy.